Happy September! 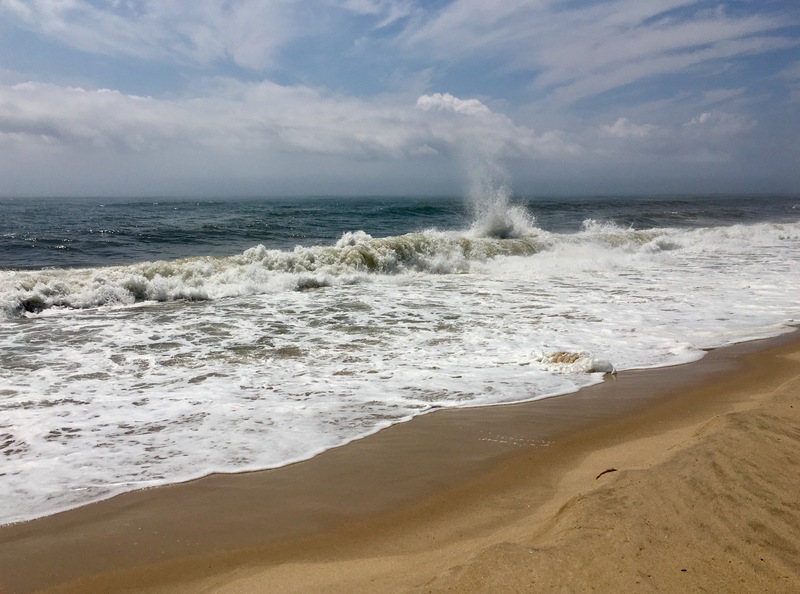 I hope you’re a little distracted reading this post thanks to some wonderful sun-kissed memories from a fun-filled summer capped off by a great Labor Day weekend. With a new school year in session and the no-more-summer-Fridays work grind in full effect, it’s time to get back to reality. The lazy days of summer may be ending, but that doesn’t mean there aren’t plenty of ways to still incorporate some fun into the new season’s schedule, especially when it comes to your fitness routine. For anyone who feels like they’ve fallen off the health and fitness wagon thanks to all the barbecues, margaritas and other summer favorites, don’t sweat it! I’ve always considered back-to-school season a perfect time to get back on track with your goals for the remainder of the year. I know things are hectic, but if you’re busy getting the rest of the family’s schedule in order, don’t forget to pencil in time for you, too. That means getting exercise on the daily planner. So today, I encourage everyone to use this transition time to remember the three Fs of fitness: it should be fun; it should be functional and it can even be free! Fitness with Friends is ALWAYS Fun! Just last week, I was reminded how exercise can be all three (and more!) during the most amazing group exercise class I’ve ever experienced. 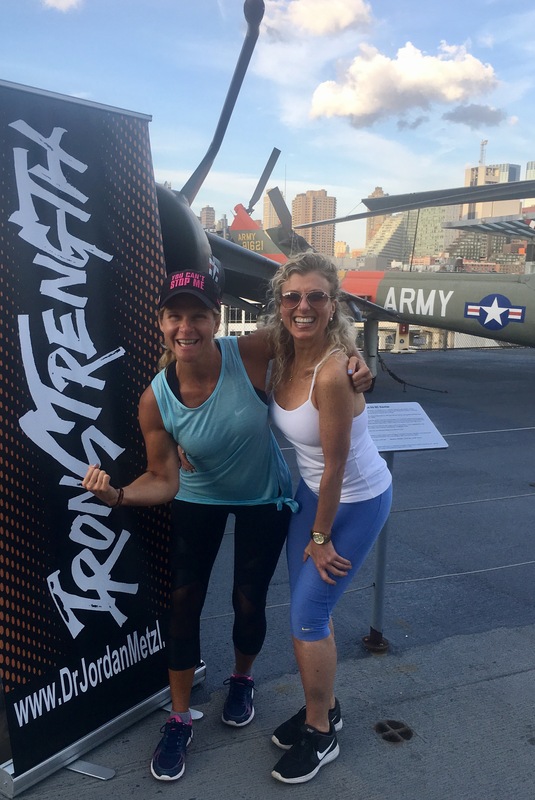 Thanks to my gal pal, Rita Joan, I learned about a unique workout opportunity aboard the flight deck of the USS Intrepid here in New York City. For one hour, we sweat it out with hundreds of other fitness lovers of all ages, shapes and sizes. For the first 30 minutes, we pushed through everything from squats to single-leg balance reaches as part of an Ironstrength workout lead by its creator and sports medicine guru Dr. Jordan Metzl. Those functional moves were followed by some sultry ones thanks to a super fun 30-minute Zumba session with Jeimy Prisby. Oh, and the kicker to this amazing night? It was free! This particular fitness experience is over, but it just shows how a little research can lead you to new opportunities. Not only may you finally find the perfect workout for your goals, but you may also find a new source of motivation sweating it out with endorphin junkies of all fitness levels. . For my fellow New Yorkers, click here to learn when you can get in on one of Dr. Metzl’s free Ironstrength workouts. If you’re looking to get your Zumba on, whatever city or state you live in, click here to find a class near you. This is also the perfect time to check for new group exercise classes at your gym, or look for free fitness activities at a local library or community center. So, here’s to getting back in the game and to a brand new month filled with chances to have fun, be fit and feel fabulous! Posted on September 5, 2017, in Fitness, Health and tagged Benefits of Group Exericse, Dr. Jordan Metzl, Free Workouts, Functional Training, Ironstrength, Jeimy Prisby, New York City, Personal Fitness, USS Intrepid, Zumba. Bookmark the permalink. Leave a comment.